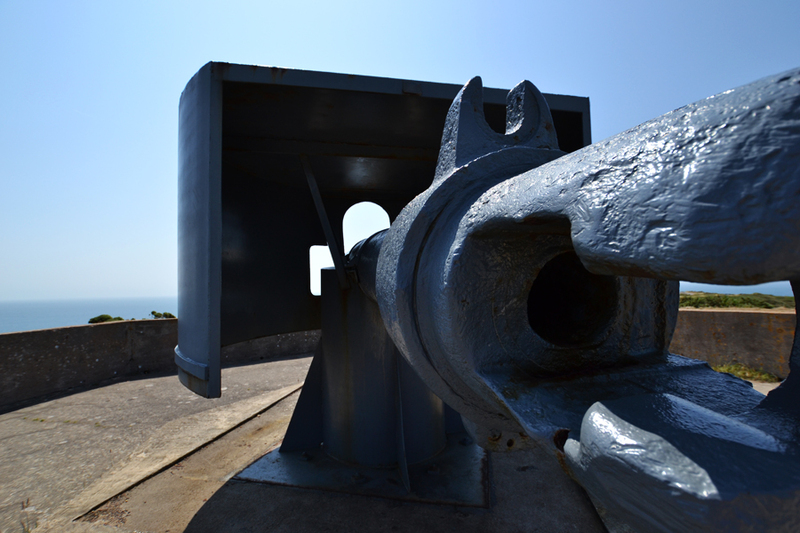 On Day four I stumbled across Battery Lothringen consisting of German defences from World War 2. It turned out to be quite a happy accident, I have a great passion for exploring old and abandoned buildings, but when you combine abandoned with the historical era of WW2 it becomes especially exciting. 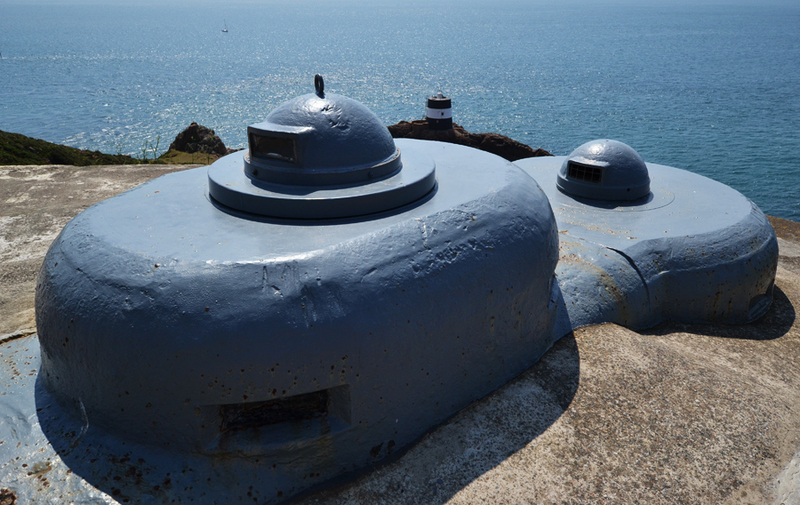 The picture below shows a German range finder, this was part of a series of bunkers and heavy weapons which had commanding views of the sea south of Jersey. Supported by the defences in Saint Helier the Germans would have been able to keep strong control of the main bay’s on the south of the island and resist any possible Allied invasions. The next image shows two parts of the periscope room. This entire defence post was designed to withstand heavy counter attack and didn’t require any soldiers to set foot outside during an invasion. In complete safety underground they could determine the range and direction of enemy ships and electronically control the guns to target and open fire. If ships had been caught between Battery Lothringen and St. Helier they wouldn’t have stood much of a chance. I managed to look inside the tiny windows which surround the periscope room and could see the equipment inside. It was a shame that the room wasn’t open it could have provided some really interesting shots with my wide angle lens. 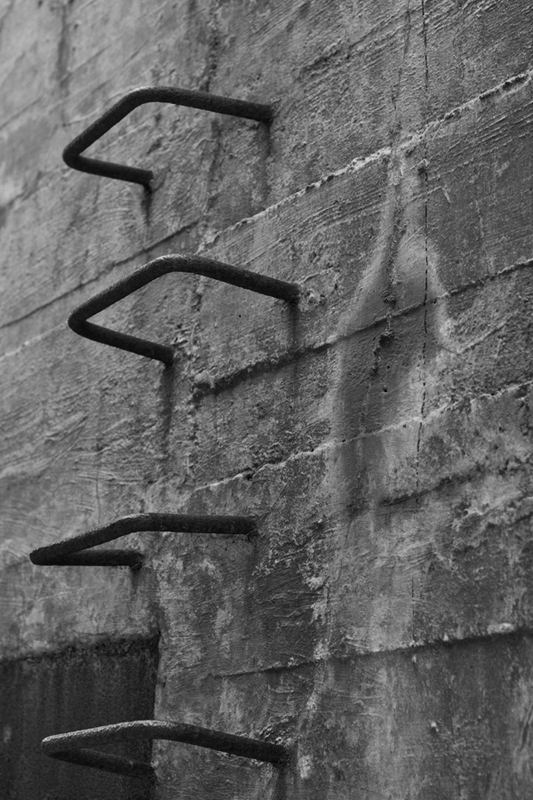 A set of iron steps leading down to one of the underground entrances of Battery Lothringen. In June 1940, knowledge of an incoming German invasion led the British government to withdraw all troops from Jersey, residence also had the option and a few thousand did indeed leave the island. With no knowledge that Jersey had been left by the British forces the Germans began a bombing campaign of what was believed to be active Allied defences. The British purposely stopped any announcement of troop withdrawal to try and waste further German resources. 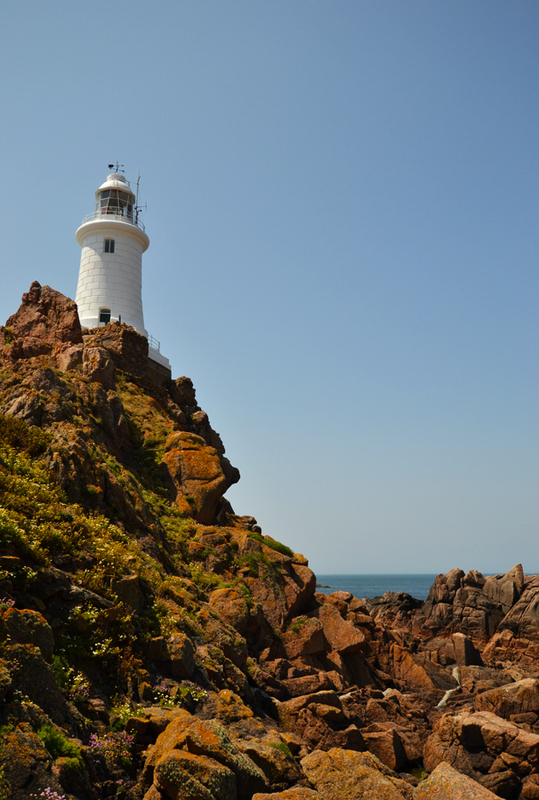 The Channel Islands were the only British territory to be occupied during the duration of World War 2. 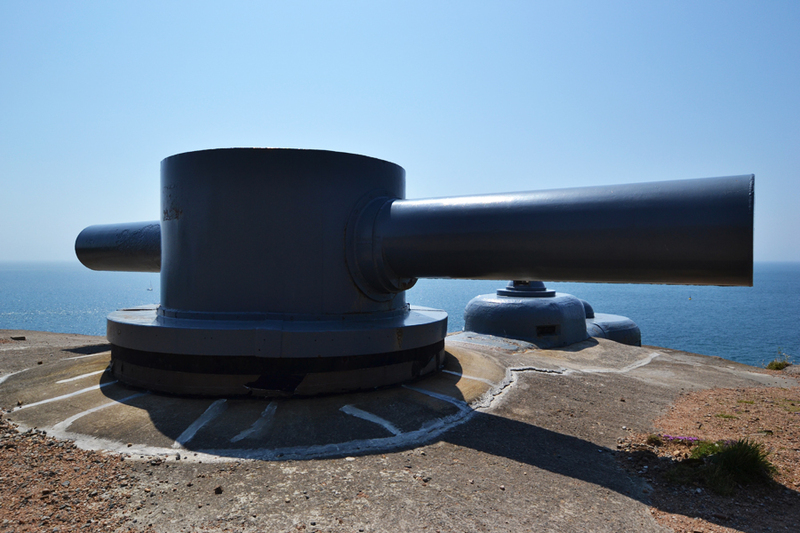 This was one of the main guns and the best preserved on the site, it may have had some restoration work done to the front end, but it was a nice example of the power the German’s commanded on Jersey. To begin with, German troops stationed on Jersey believed they had it the easiest in the war and morale was especially high. 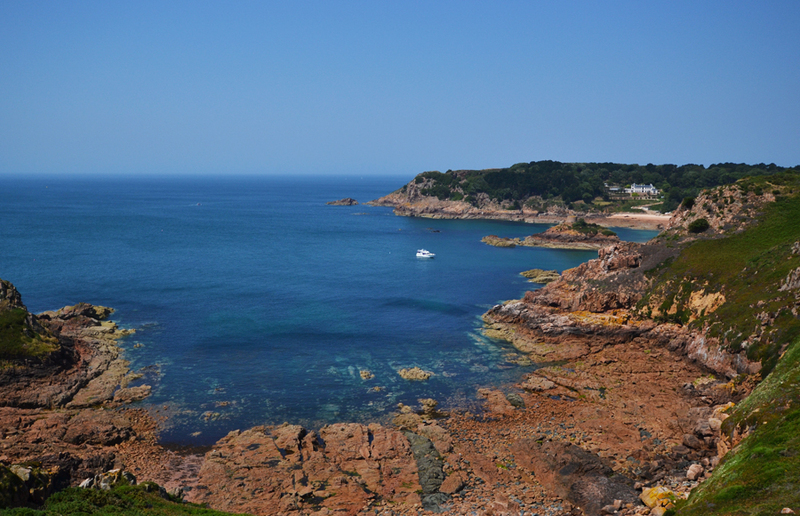 Some troops believed Jersey was the Isle of White and believed Britain would fall within a matter of weeks. The food was good and plentiful and the islanders provided little to no resistance, having no access to weapons and being a mostly farming community. As the war continued however, conditions on Jersey started to degrade, food was running low and due to the confiscation of wireless sets the German soldiers had little communication with mainland Europe, very few people knew what was happening back on the mainland and had no contact with family members. As food was being rationed Islanders were encouraged with improved quantities by helping with the building of multiple German defences. The Channel Islands were to be a major strategic location as part of Hitler’s Atlantic Wall defence. A view from the German defences shows just how far reaching Battery Lothringen was. In December 1944 the red Cross finally delivered food to the Channel Islands, there was to be one parcel of food for every Islander, German troops were not provided anything. For the first time the Islanders had the upper hand of morale. German troops would be seen eating seagulls, pet dogs and searching the coast for shell fish. Some soldiers, despite the death penalty, tried to defect from the German army and some were hidden inside Islanders homes. To try and lift morale Admiral Huffmeier leads a German raid on a French Port, the raid was successful with Allied troops captured. The lift wasn’t for long however, less than 4 months later Germany surrendered and by 9th July 1945 all German forces in the Channel Islands had surrendered and they were liberated. Thanks for stopping by, there will be more photos from Jersey up soon.